Roasted veggies are the best. 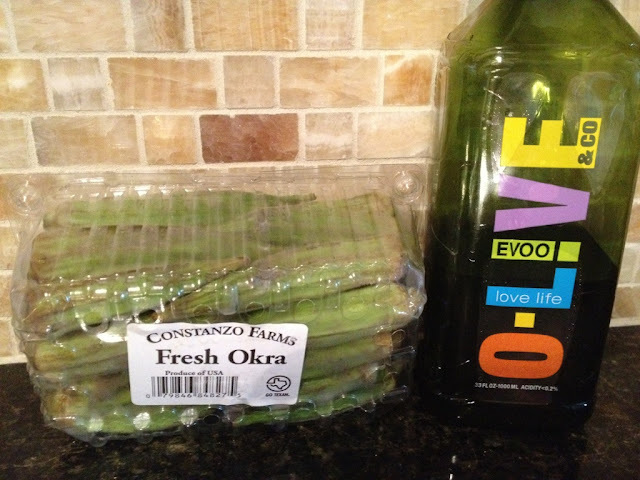 I have discovered yet another vegetable that is worthwhile to cook...OKRA! I have always been a fan of fried okra. 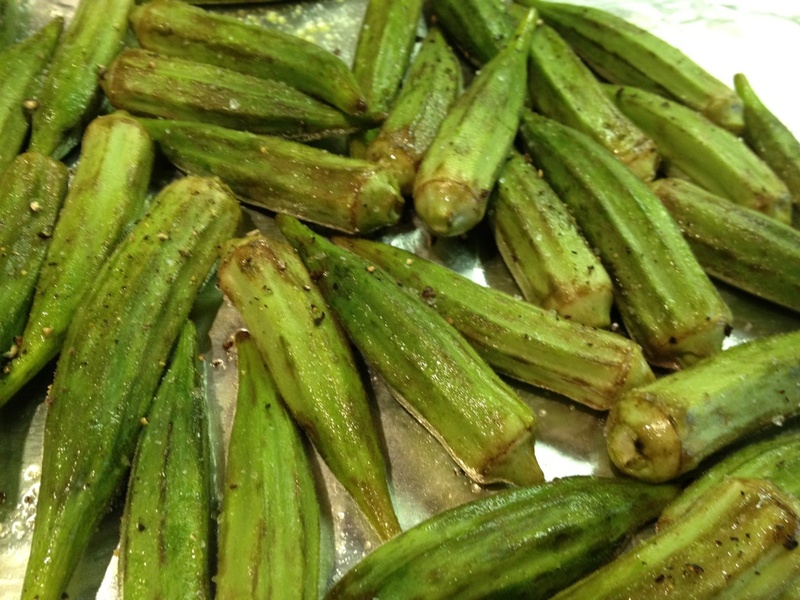 I used to always eat okra in two steps, the fried part first and then the actual piece of okra. Eating fried okra is one of my favorite past times. 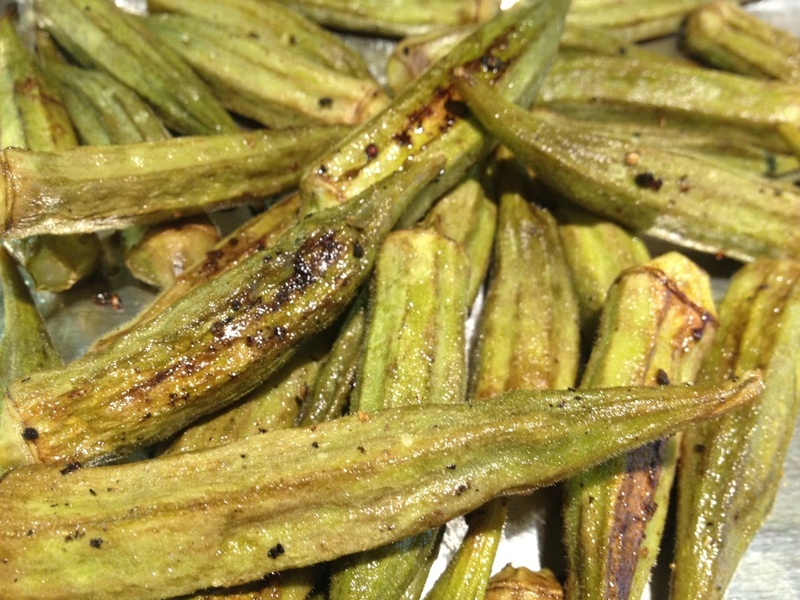 I have to say that roasted okra is equally as good and you don't have the fat associated with the fried part! I hope you love this okra as much as I do! Wash and dry your okra. Spray a foil-lined pan with nonstick spray. Drizzle your okra with olive oil (about 2 tablespoons). Then season with salt and pepper. Cook for 20-30 minutes or until your desired crispiness.